Writing essays for school, college or university can be particularly stressful. Our essay proofreading service is designed to help you perfect your essays to ensure that they read well, and covey the points that you are trying to convey. We offer a comprehensive essay proofreading and editing service for students of all levels. We cover all academic disciplines and will match your essay to one of our editors with the most relevant background and experience in your subject. 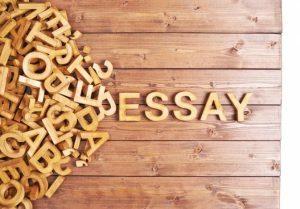 We ensure a high quality service for our essay proofreading service by ensuring that as minimum all of our essay proofreaders hold Masters/PhD qualifications from leading British universities, and have extensive experience in the field of essay proofreading. Our team have years of experience helping students with their essays we thoroughly proofread your essay so that it is ready for you to hand in. Due to the expertise of our editors we are able to ensure that your work is not only free from spelling mistakes and grammatical errors. We will also check syntax, sentence structure and are able to recommend improvements and suggestions that may be relevant to your work. Due to the variations in the time that is often required between different texts we have developed three types of distinct services. We offer three types of proofreading services to meet the needs and requirements of everyone. Our Basic Proofreading service is aimed at ensuring that there are no basic spelling, grammar or typographical errors. Whereas, our Proofreading & Editing service aims to provide a comprehensive service looking at everything from academic tone, to consistency and layout. The Heavy Editing service covers all the same areas and addresses all the issues as the Proofreading & Editing service with the only difference being that this is aimed at individuals who require greater than average time editing their texts. The prices for our essay proofreading vary depending upon the service you select and the turnaround time. For example our basic proofreading prices start from £8.00 per 1,000 words and our heavy editing prices start from £14.00 per 1,000 words. We are also able to provide quick turnaround times for essays under 10,000 words such as our Express 6 hour turnaround time. 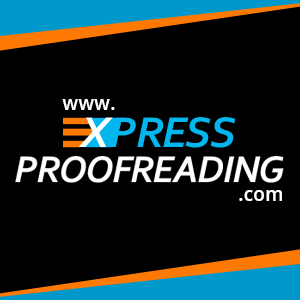 For further information about our proofreading prices visit our prices page. Placing an order for our essay proofreading service is easy, simply visit the Instant Quote page. Select the service you require, followed by the turnaround time you require, then upload your document and our Quote Generator will calculate an individual quote for you based upon the word count of your essay. Once you are happy with your quote you can then input your personal details and specific requirements and proceed to our secure checkout page where you will be able to pay via our secure PayPal payment gateway. Once your order is processed, we will receive your essay and begin working on it to your requirements.